Maybe you’re assessing whether the HubSpot CRM (customer relationship management system) is right for your company, or perhaps you have already invested in the CRM but don’t quite know how to use the system to its full potential. 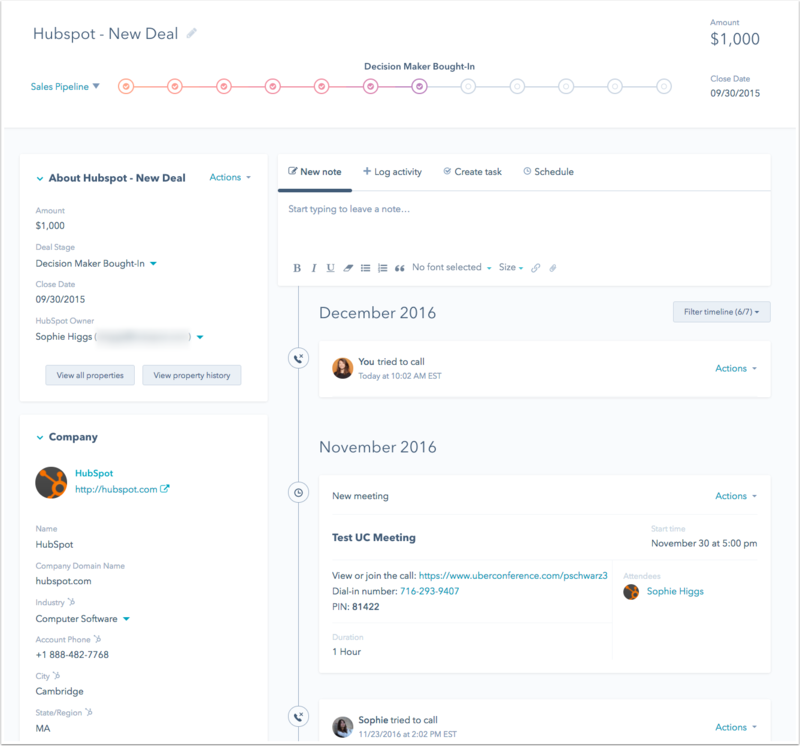 Whatever the case, you need a little more information about the HubSpot CRM and its sales capabilities—fast. Read on to dive deep into the HubSpot CRM & Sales features in order to take your business to the next level… and don’t forget to keep this guide handy when setting up and managing your company’s HubSpot account. Note: This guide was created in May 2017 and reflects services and features available through the HubSpot CRM at that time. I probably don’t need to tell you that marketing has become a lot more complicated in the last few decades. Before the internet and smartphones became integral parts of our lives, companies had all the power—they used marketing techniques like cold calling to force prospects to interact with their brands (aka “interruptive marketing”). Today, prospects and customers have all the power. They can hop on the internet and research your company, read product reviews, and check out your social media presence in just minutes. 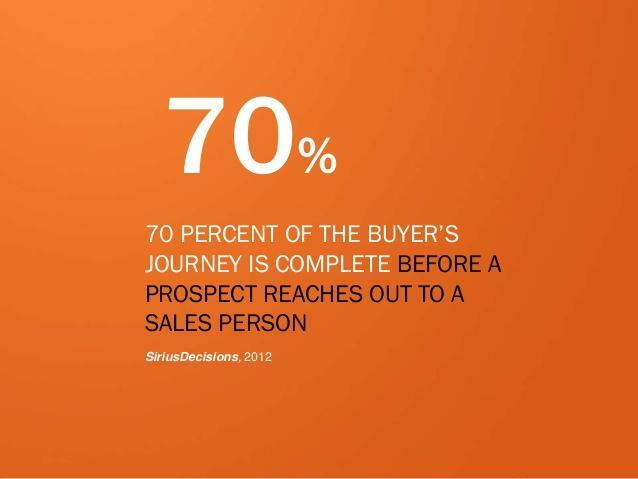 In fact, SiriusDecisions reports that 70% of the buyer’s journey is complete before a buyer even contacts a salesperson. Companies now have to work to organically attract customers through inbound marketing techniques like content marketing, social media marketing, and search engine marketing. Tracking customer interactions via email, telephone, etc. In a study conducted by BuyerZone, 91% of companies with more than 11 employees use a CRM system, and 74% of respondents claimed that CRM software has enhanced their access to customer information. 91% of companies with more than 11 employees use a CRM. Experiencing these kinds of results starts with first choosing the right CRM for your company. There are a lot of choices when it comes to a CRM for your business—for this article, we’ll focus on the HubSpot Sales CRM but the trick is finding the ideal CRM for your business needs. For us, we had four criterias. Intuitive. The system had to be intuitive so that the system would work around how we do sales and not the other way around, I wanted reps to concentrate on selling not software. lightweight. It had to be lightweight, this is similar to the intuitiveness of the system, I didn’t want a CRM that was clunky filled with features that we’ll never use, it makes things more confusing for the reps. Powerful. Although I don’t want the features that I don’t use, with the features I do use, I want the CRM to do a lot. Scalable. I wanted a CRM that was scalable, I didn’t want to run out of contact and be forced to pay after I just implemented the CRM throughout the organization. For us HubSpot Sales check all of our boxes. Other CRMs to consider could be Salesforce, Pipedrive, Insightly, Prosperworks CRM, Pipelinedeals, Zoho CRM and Base. You might also want to consider using an industry-specific CRM like Prezly for instance, however, be cautious with industry CRMs, a lot of them do not add anything unique to the table, they simply slap a label on their product in order to break into the highly competitive CRM market. At the end of the day, the CRM you choose for your business should make your team more efficient and organized. I’ll go through just how much the HubSpot CRM software can do and exactly how we use it here at Frozen Lemon Media. HubSpot Sales CRM has been in the works for a few years now, under different names, it first entered the market by the name SideKick a few years later, then HubSpot renamed it again to Signals, and finally has changed the name to HubSpot Sales to officially include it into its suite of marketing and sales tools. HubSpot reports that its CRM is used by more than 18,000 businesses in more than 90 countries, which gives you an idea of the system’s popularity. In addition, companies report huge success using the CRM—one U.S.-based e-commerce company doubled its email conversions and generated more than $100k in revenue! (I’ll discuss this further in the case study section at the end of the guide). The free account is a powerhouse in and of itself, though the professional one has some undeniably great extra features designed with companies of all sizes in mind. I recommend starting with the free account to become familiar with the features before deciding whether to move to a professional account. 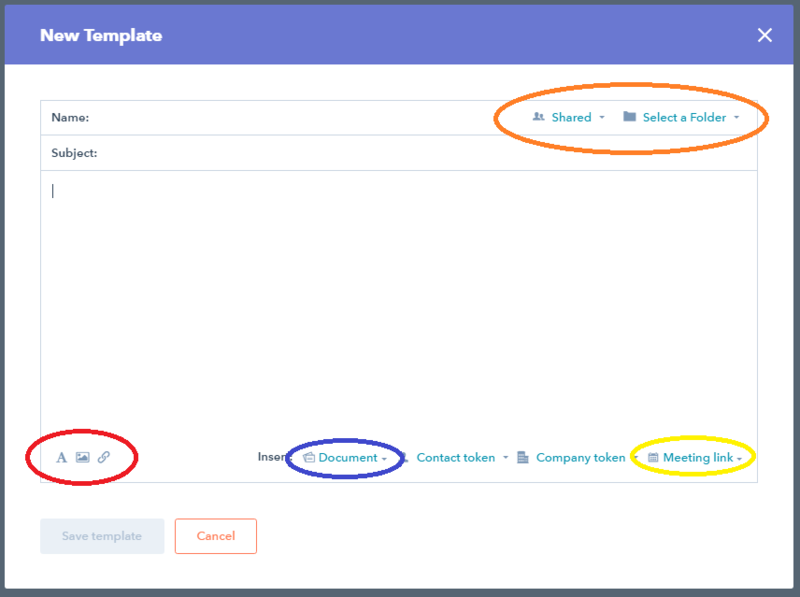 Visit HubSpot to grab a free CRM & Sales account (if you need assistance setting your system up, we’re here to help), and then circle back to this guide to learn how to best use the features of your new CRM. I’ll get to all of these in detail below. Your HubSpot Dashboard will look something like this when you’re first starting out. Additionally, the weighted total of the deal stage must be at least 5% of the total forecasted value or the quota—whichever is higher. (I’ll discuss this rule in further detail in the Deal section.) Any deals that don’t meet this criteria will not show up on the forecast. Don’t worry if you don’t fully understand right now—again, I’ll be covering this in further detail later in the guide. This widget displays the numbers of deals won versus your monthly quota (or within a custom time period set by you). It can be particularly helpful for tracking long-term progress, determining whether your team is collectively succeeding, and judging whether sales goals are realistic. “Recent activity” refers to any recent sales actions logged in the CRM, such as calls, emails, tasks, notes, and meetings. You can click on any of the entries automatically included in this widget to see more information about the specific activity. 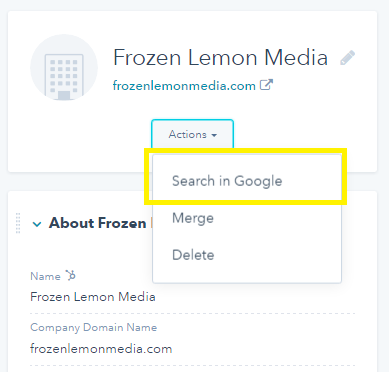 For instance, in the image below, you could click on “Phill Smith created a task for Frozen Lemon Media” in order to review the task details. This widget showcases the total number of calls placed, emails sent, meetings booked, and tasks created in a selected time frame. It can be sorted by team member, providing a snapshot of the total number of each type of action performed by the employee. Click on the “Quick view” option to see a more detailed breakdown of the actions mentioned. They are available by purchasing add-ons and paid accounts, such as marketing accounts and reporting add-ons. The sales Dashboard is one of the most powerful tools in your HubSpot repertoire because it instantly displays where you’re succeeding and falling short. No need to wonder whether you are on track to meet this month’s quota or spend valuable time pulling data from a dozen different sources; the answers are all right there at your fingertips. The accuracy of your dashboard, however, depends on correctly using the other elements of the HubSpot CRM, like creating contacts and managing tasks. The CRM can’t analyze data that you don’t put into the system, so it’s important to stay consistent in order to receive an accurate snapshot of your sales and marketing success. A contact is anyone that you’re communicating with. You can add contacts individually by using the “Add contact” button on the dashboard, or you can bulk import contacts from a CSV file (note: it’s best to have email addresses for all contacts that you want to import). HubSpot allows you to store 1 million contacts for free. 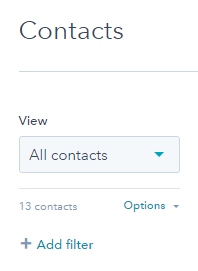 By default, your Contacts dashboard shows all contacts, though you can adjust the View dropdown to focus on Call Queue or My Recently Assigned Contacts, and filter contacts by any number of options like Annual Revenue, Company Name, and Job Title. To view a specific contact, simply click on their name. You’ll see all their available data including contact information, communication history throughout your relationship, and any notes you’ve added to their profile. Subscriber: The least promising type of prospect. Subscribers have connected with your company by opting into an email newsletter or something similar but haven’t shown any further interest. Lead: A subscriber who has further interacted with your company, usually by opting into a content offer that reveals their interest in a specific topic. Marketing qualified lead (MQL): A lead that fits marketing’s criteria of a promising lead, based on the lead’s behavior such as requesting a product sheet. Sales qualified lead (SQL): A lead that the sales team has flagged for further follow-up. Opportunity: A very promising sales contact that looks to be on its way to becoming a customer. Customer: No longer a lead, this contact has made the decision to purchase your products or services! Evangelist: A passionate customer who promotes your company to others. These are the best kinds of customers—the ones who promote referrals and strengthen your brand. Other: A contact who doesn’t fit into the other categories. As contacts go through the sales cycle, you can adjust their Lifecycle Stage accordingly. This ensures that you can tailor your actions to fit contacts in each stage of the cycle, such as heavily focusing on contacts at the Opportunity stage in order to convert them into customers. When you email, call, or log an activity (phone call, email, or meeting) through the system, it automatically logs within that contact’s individual profile so you can see a complete record of interactions. You can also perform those actions—emailing, calling, writing notes, etc.—straight from the contact profile, and these actions will automatically be recorded onto the profile so you don’t have to spend time record-keeping. The Companies dashboard is very similar to the Contacts one—it lists all of the companies in your database. It has similar filtering abilities as the Contacts dashboard—you can search for and segment companies by endless options such as annual revenue, country, and HubSpot owner (which of your team members the company is assigned to within the system). Of course, you can add any of this information yourself… but with the HubSpot CRM, you don’t have to do all the work yourself. The system automatically pulls key information when you save the company name in the system, and you also have the ability to search for additional information about the company straight from the organization’s profile. Click the “Actions” dropdown and then “Search in Google” to pop open a new internet tab searching for the company name. 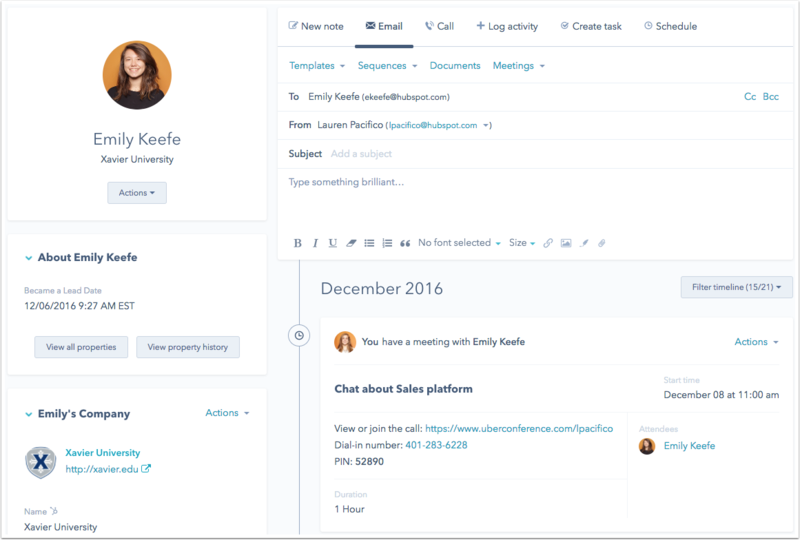 The intuitive system also automatically records any calls, emails, and activities made through the HubSpot CRM so users don’t have to do it manually. Similar to an individual contact profile, a company profile also displays all past communications between your team members and the company. You can also call and email straight from this page, as well as record notes and tasks. The Deals dashboard is perfect for noting qualified sales leads that have shown interest in your company by requesting a meeting, talking to a decision maker, or discussing their needs. By flagging these sales leads and creating deals, you can estimate the amount of revenue for each account and track all opportunities as they convert down the sales pipeline. This enables you to forecast your revenue as well as compare the number of deals won against your monthly quota. There’s an increasingly greater chance of converting the lead as it tracks down the sales pipeline, from a 20% chance of conversion at the Appointment Scheduled stage to a 90% conversion rate at the Contract Sent stage. These deal stages and probabilities are editable—just click on the “Actions” dropdown in the top right of the deals dashboard. You can also create multiple pipelines to fit your needs, for example, if you have two customer bases that go through unique pipelines with different stages. To create a deal, click the “Add deal” button in the top right corner of the dashboard. Fill in the necessary form fields like the deal name, stage, amount, and close date (if applicable). This is also the place where you associate the deal with a company and contact, which will automatically pull the information from the appropriate areas in your CRM and plop it into the contact profile. Once you’ve finished adding information to the deal profile, click to automatically pop it onto your Deals Board. Afterward, easily drag and drop deals across the various stages of the pipeline. 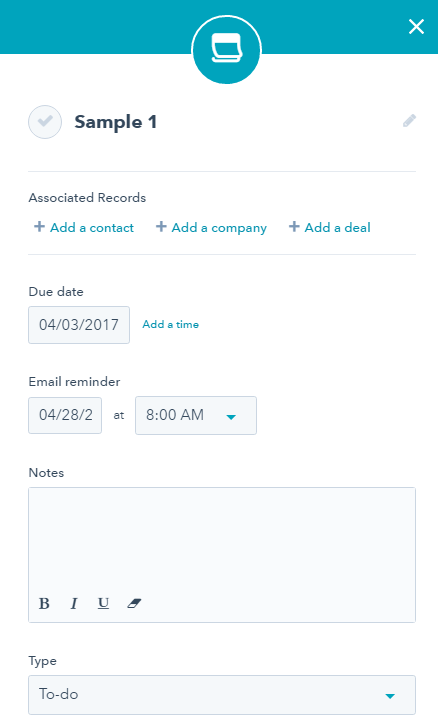 Like the Contacts and Companies dashboard, you can email, call, and log activities straight from the deal record and it will automatically log. We briefly touched upon this subject in the Dashboard section of this guide. Now that you understand how deals work, let’s return to the topic. You didn’t set a quota and your total deals forecasted add up to $5,000,000. You’re tracking a deal that could deliver up to $20,000. It is in a deal stage that has a 10% probability of closing. 10% of $20,000 is $2,000, which is the weighted total. 5% of $5,000,000 (the total forecasted value) is $250,000. $2,000 is less than $250,000, meaning the deal won’t show up on the Deal Forecast widget. Keep this in mind when creating and tracking deals, or when troubleshooting why some deals are/aren’t displaying on your forecast. You can create a task on any contact, company, or deal record, or the Tasks dashboard. 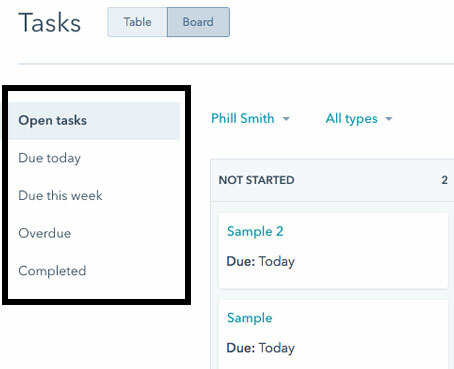 When adding a new task through a record, use the “Create task” button to open a new form field and fill in the details. If you would like to add a new task through the Tasks Dashboard, click “Create a task,” and then enter a title and due date. You can also filter tasks using the dropdown menus above the task board. Clicking the carrot alongside “All types,” for instance, drops down a menu that enables you to filter by to-dos, emails, and calls. Clicking the carrot alongside “All time” allows you to set a custom time period, such as all tasks for the next two weeks. Reminders can help to ensure that follow-ups don’t fall through the cracks. For instance, if you reach a decision maker via email who says that they are busy at the moment but would be open to reconnect in the future, click the “Create task” button and add a reminder to follow up in 2 weeks. Then, you can move on to tackling other to-dos. When a task is finished, click on the checkbox next to its name to mark it as complete. Or, go into the individual task record and change the status to complete. It will reflect on your main sales Dashboard under the Productivity header (and any new tasks you create will show up in the Recent Activity section). Note that many of these tools are only available through a Sales Pro account. We’ll gloss over these upgrade-required tools in this guide, as many HubSpot CRM beginners will explore the functions available to them on a free account before considering an upgrade to Sales Pro. Instead, we will focus on the sales tools that basic users can employ and note which tools are only available via upgrades. To set up notifications, follow the prompts in the Navigation dashboard. 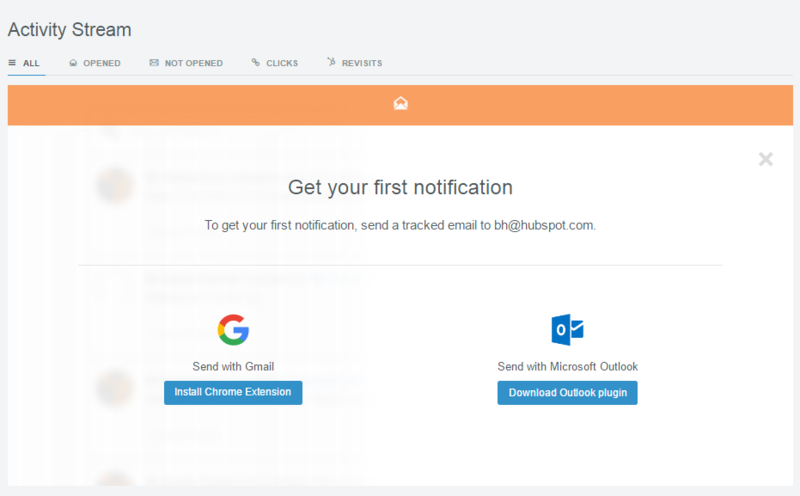 After setup, HubSpot free account holders receive up to 200 notifications per month in their Activity Stream (Sales Pro users receive unlimited notifications and email tracking history). Note: Any or all of these notifications can be turned on/off from the Settings tab next to the Sales Tools dropdown in the navigation bar. If you find yourself sending out nearly identical emails over and over again, save a little time by creating email templates. Note: HubSpot free account holders can upload up to 5 email templates (Sales Pro accounts have access to 1,000 per user per month). 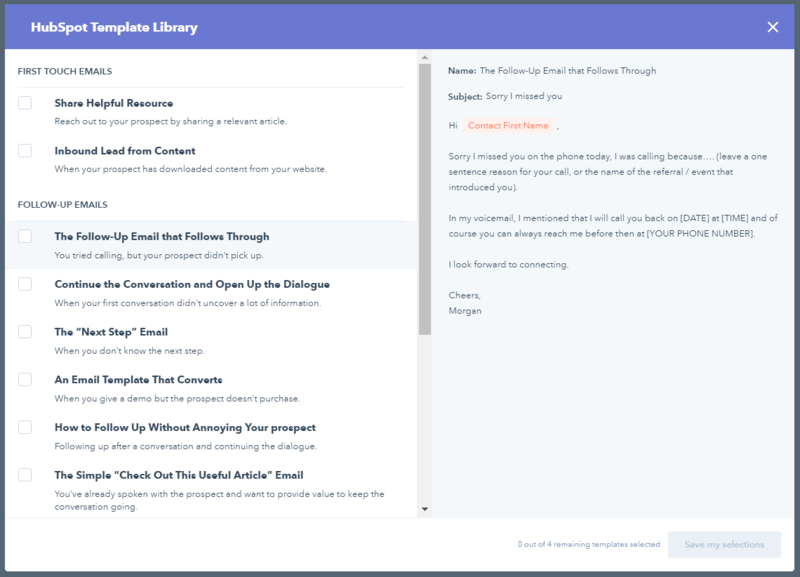 The template library features several common types of emails frequently used by professionals, such as a follow-up email to a call that didn’t reach the contact. And the #1 rule of thumb: personalization makes for successful email marketing. This doesn’t mean just adding the recipient’s first name to the greeting or subject line; the entire email should be as personalized as possible to appeal to the recipient’s needs. That’s where personalization tokens come into play. Personalization tokens are areas that pull information straight from the recipient’s contact/company record, or areas that indicate where to insert personalized text freehand. Use brackets to indicate where you need to insert custom information when filling in the email, such as a one-sentence recap of your last conversation with the contact (obviously not something that can be included using a standardized token). This could be as simple as “[one-sentence recap of last phone conversation]” after the greeting. With all of these options, you’re sure to whip up some helpful email templates that can save you time in the future. 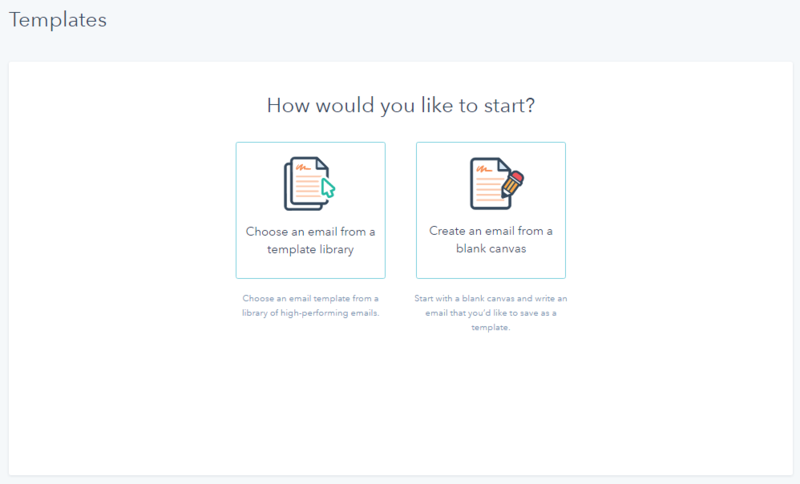 And of course, feel free to tweak these templates to fit your changing needs or to test how to improve email engagement rates. This feature is meant to help automate email follow-up, and is only available with a Sales Pro account. Users will get 5 emails that they can automate as follow up emails but as soon as a user responds to an email the contact is automatically taken out of the automatic sequence. 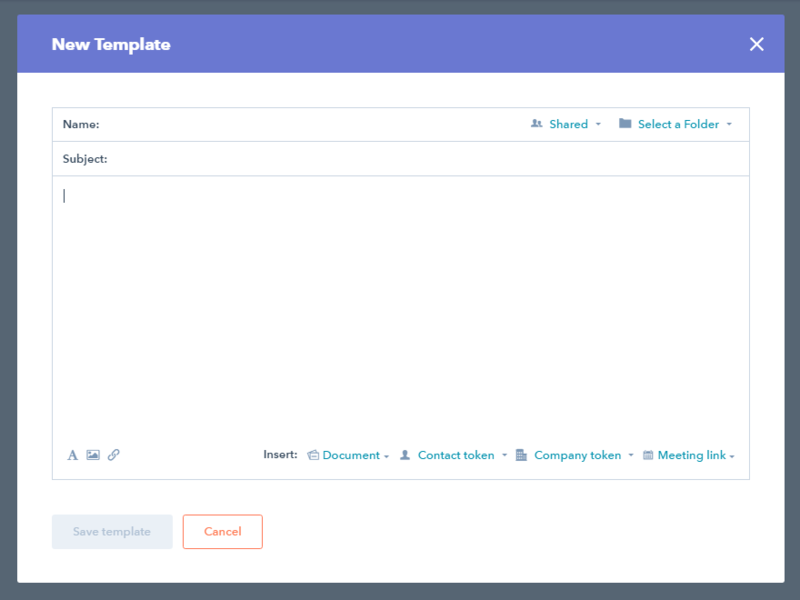 The purpose of this tool is to make sharing material with contacts easy and trackable; it automatically alerts you when contacts engage with documents, like if they open a pricing sheet included in your email. The Documents dashboard also enables you analyze the performance data for all materials uploaded to the Documents Library. Note: HubSpot free accounts can upload up to 5 documents (Sales Pro accounts have access to 1,000 per user per month). Start at the Documents dashboard, accessible through the Sales Tools dropdown in your account navigation bar. You’ll have the option to upload a file from your computer or import from 3 external services: Dropbox, Google Drive, or Box. 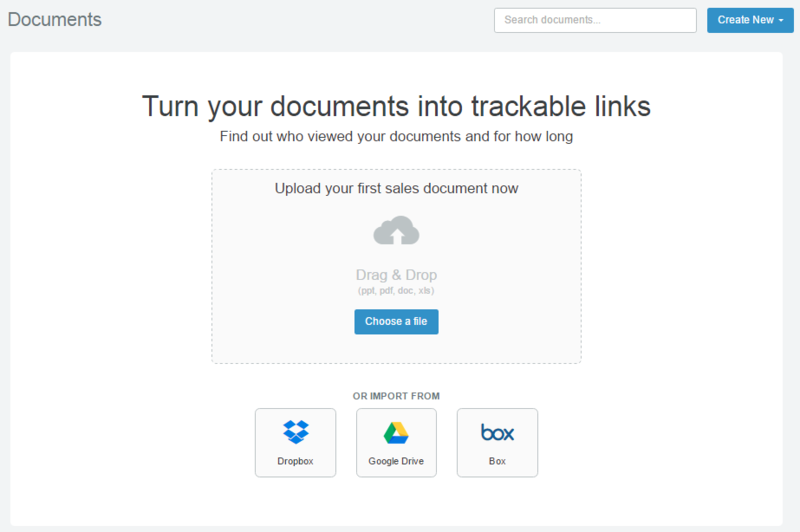 Follow the prompts to upload a document from the source of your choosing. Note: Avoid uploading sensitive information to the Document Library. Share straight from the Documents Library. 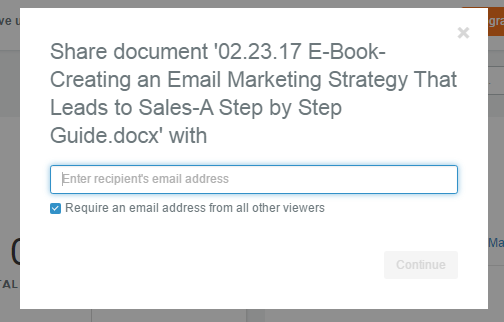 Click on the thumbnail of any document to pop up a dialogue box where you can enter the recipient’s email address. Underneath the email address bar, click the checkbox “Require an email address from all other viewers” option if you’d like to know who is viewing your materials. Select “Continue” to preview and customize the email, and then “Share” when you’re ready to send it off. Share via Gmail or Outlook. Select the “Documents” option in the toolbar and attach your document of choice. This tool, which is only available through a Sales Pro account, can show you which prospects are checking out your company online. Meant to make booking meetings with busy professionals just that much easier, this tool is available with Sales Pro accounts. 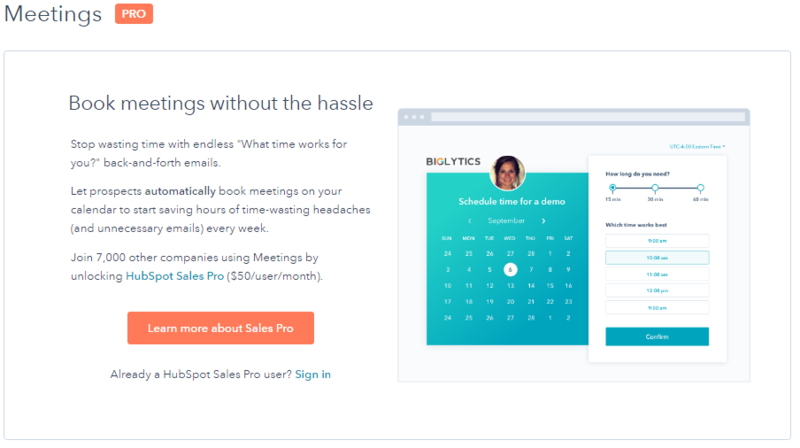 A new tool developed by the HubSpot team for Sales Pro account users. Instant messaging is just one more great way to communicate with contacts in addition to calling and emailing. We will discuss this in the Calling section below. 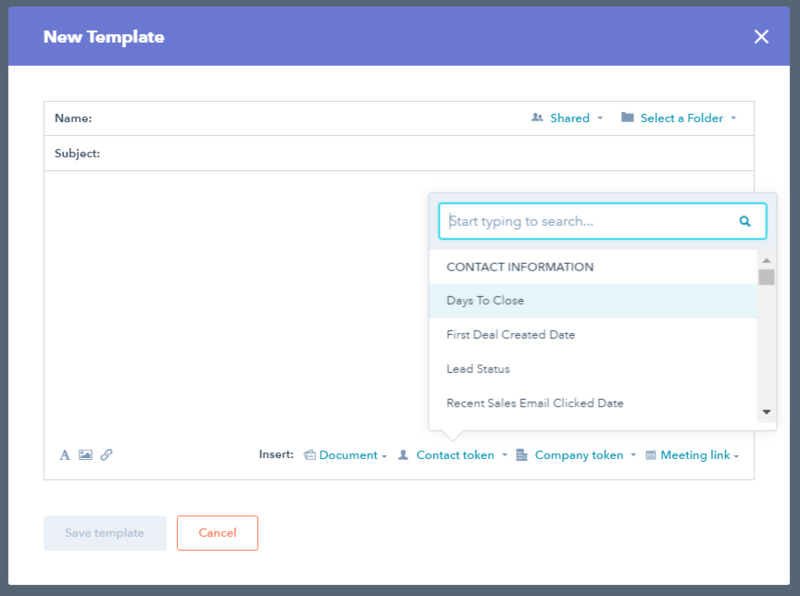 As mentioned above, the HubSpot CRM enables you to call prospects straight from the system, making your sales and marketing responsibilities more time-efficient. 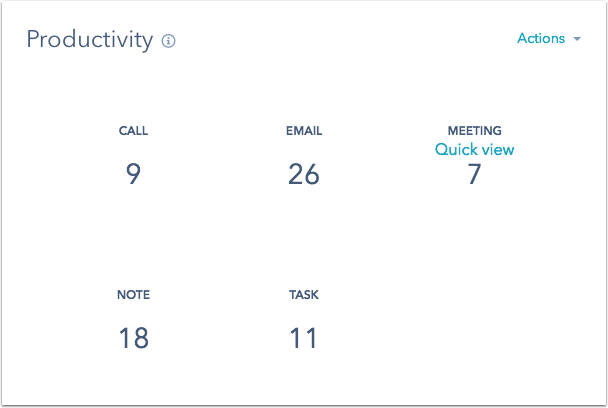 Using the call function also minimizes time spent record-keeping because the calls automatically log in the right places when performed through the CRM. Note: Basic HubSpot accounts receive 15 minutes of free calling time. Sales Professional accounts receive 2,000 minutes per month with the option to purchase more if necessary. Using an actual phone that’s associated to their CRM account. A dialogue box will open prompting you to add a phone number (and extension, if applicable). Enter the number you would like to use and then click “Register”. A verification code will pop up. When you receive a phone call to verify your outgoing number, enter the verification code. You’ll then receive confirmation that your phone number is registered and ready to start making calls. If you prefer an actual phone like a cell phone or office line when making calls, then you’re in luck; with the HubSpot CRM, you can easily call through a telephone and still take advantage of all the capabilities and benefits of calling through your web browser, such as having the conversation automatically log to your contact profile. You’ll automatically receive a phone call from the HubSpot CRM, which will also call the contact you’re trying to reach. Once you’re finished with the call, choose a “Call outcome” from the dropdown and then click “Save call” to log everything on your contact record. Note: Don’t worry about a weird phone number showing up on your contact’s phone. The call will appear as though it’s directly from your telephone. Though this can be a great option for professionals who prefer to speak into an actual phone rather than their computer’s microphone, this option does use up minutes twice as quickly since the CRM has to call your telephone first and then call the contact. Keep this in mind when managing minutes and deciding which calling strategy is right for you. Calling from your web browser is nearly identical to calling from a telephone; again, go to a contact record and click the “Call” button. 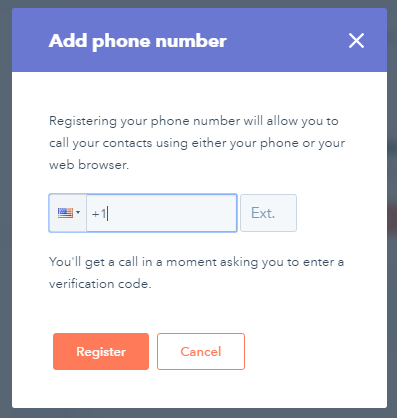 Instead of choosing “Call from phone,” click on “Call from browser.” The CRM will call the contact directly using your phone number on record. You’ll be able to hear and speak through your computer’s speakers and microphone, and then choose an outcome and save the call to your contact record as usual. Once you’re in a live call, you have the option to record the call and type up notes directly in the call record. To record, click the “Record” button. Note: Privacy laws differ by region, meaning that recording is legal in some areas and illegal in others. 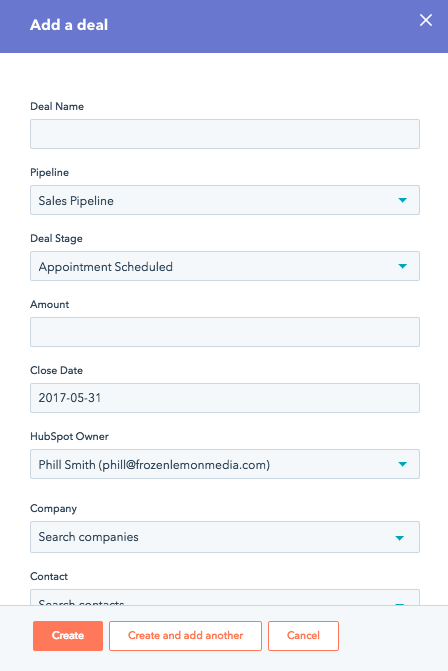 If your contact’s phone number is from an area that prohibits recording, the HubSpot CRM will automatically turn off recording. It will automatically enable recording for areas where this is legal. Some areas fall in the middle of the spectrum and enable recording, but only with two-party consent, meaning that you have to receive consent from your contact in order to record. In these cases, the HubSpot CRM will pop up a dialogue box that requires affirmation of consent before moving forward. Overall, it’s always best to err on the side of caution and receive consent from all contacts before recording. To leave notes (which can only be seen by you, not the contact), type directly into the notes box throughout the chat and once the call is finished. Then, save the call to log everything on the contact record. The call queue is like a calling to-do list, enabling back-to-back phone calls to circumvent going into each individual contact record. This is particularly helpful for proactive employees who prefer to end their days by setting up a calling plan for the following day, so they can hit the ground running in the morning. The Call Queue is located in the Sales Tools dropdown of the navigation header. To add contacts to the Call Queue, go to the Contacts dashboard and click on the checkboxes next to the names of the contacts that you would like to add. Head to the “More” dropdown above the list of contacts and choose “Add to call queue” from the dropdown menu. To call contacts on the Call Queue, click the “Start calling” button in the top right of the window. The HubSpot CRM will go down the list of contacts starting at the top. When reaching out to each contact, the CRM will automatically route to that person’s contact record so you can review information about them, take notes, etc. while chatting. There’s just one difference when calling from the call queue: you will see a Call Queue menu added to the top of the contact record. 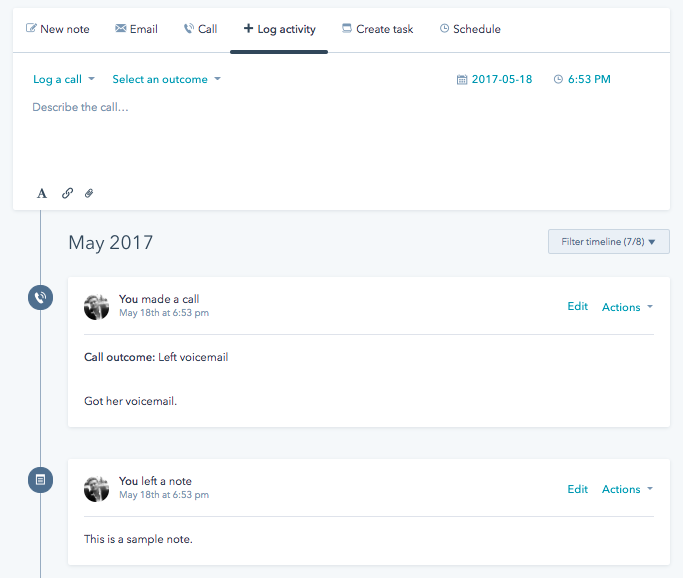 This menu allows you to skip backwards or forwards in your queue, pause calling, and adjust the amount of time between calls. At the bottom of the Notes section of the call, you will also find several options such as “Remove from call queue.” Click on this button to take the contact off your Call Queue, or go to the Call Queue dashboard, click the checkbox next to the contact’s name, and select “Remove from queue” at the top of the contact list. Like a typical call, you can select an outcome at the end of a conversation, and then save your notes to the contact record. The status of the call will automatically update in the Call Status column on the Call Queue dashboard. One of the great things about the HubSpot CRM is the wealth of knowledge available to help you learn the ins and out of your system and improve your sales and marketing processes. Much of these trainings and materials can be accessed via the graduation cap icon in the navigation bar of your CRM dashboard. “Training & Certifications” takes you to the learning dashboard where you have access to free HubSpot-developed courses, such as Inbound Marketing or Email Marketing. 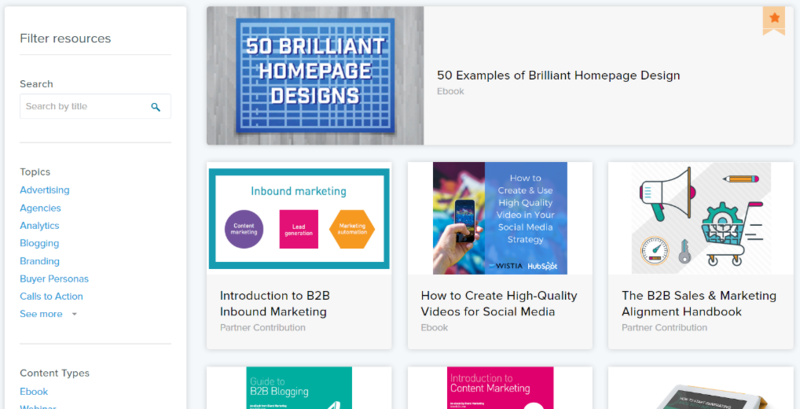 “Marketing Library” routes you to a cache of HubSpot-developed materials designed to help sales professionals, marketers, and business owners. 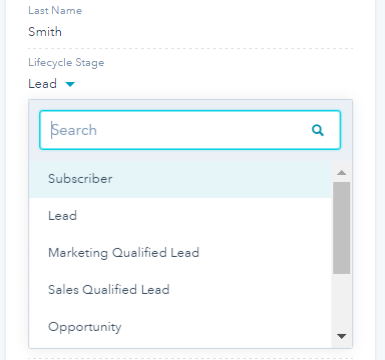 Filter by topic and content type in the left sidebar to find the right resources for your company. Aside from educated offered by HubSpot, the Frozen Lemon Media team is always willing to help business owners set up their HubSpot CRM correctly and utilize it to its full potential. As certified HubSpot partners and users of the HubSpot CRM ourselves, we know how to best leverage the system as part of a comprehensive inbound marketing strategy that achieves results. Learn more about us at www.frozenlemonmedia.com. Or, click here to request a free consultation of your specific needs. The material above conceptually demonstrates how the HubSpot CRM can benefit your company, from tracking essential sales data to streamlining email marketing, but here’s a concrete example of how one company took these concepts and successfully applied them. Company: A large U.S.-based ecommerce organization named Pro Athlete Inc. Problem: According to HubSpot, Pro Athlete struggled to create a cohesive and effective marketing strategy. The company was using multiple services to handle email marketing, social media needs, SEO efforts, and blog content, which slowed the process and significantly hindered results. In fact, the company regularly lost hundreds of leads thanks to blasting out nonspecific emails to tens of thousands of recipients. Pro Athlete was damaging its brand, alienating its audience, and not converting enough leads into customers. The company needed a better, more streamlined marketing approach. The company regularly lost hundreds of leads thanks to blasting out nonspecific emails to tens of thousands of recipients. Solution and Results: The company implemented the HubSpot CRM to help with building out a comprehensive marketing strategy that would engage rather than alienate contacts. They used the software to segment their email list and craft targeted campaigns such as abandoned cart campaigns, which urged potential customers who had abandoned the buying process before checkout to return and easily complete their purchases. Most importantly, Pro Athlete used the HubSpot CRM to refocus on the right marketing metrics and change the way it measured marketing ROI. Rather than just tracking revenue without a thought to how they were alienating contacts, the company started focusing on metrics like open rates, clickthrough rates, opt-out rates, and subject line performance in an effort to gauge recipient satisfaction and engagement. Lastly, Pro Athlete integrated the separate marketing strategies that they had dabbled in previously—content, social media, website optimization, email—into one powerful plan. They began regularly posting on their website blog in order to educate visitors rather than just sell, engaging with social media followers in an authentic way, adding the right leads onto their email list, and using email to develop long-term customer relationships. With this guide, the HubSpot CRM, and some hard work, you can follow in the footsteps of Pro Athlete and experience a stronger brand and greater revenue. Dive right in—start adding contacts, companies, deals, and activities today. The more you use the system, the shorter the learning curve. Should you need any additional help making the most of the HubSpot CRM tools along the way, don’t hesitate to reach out to our team at Frozen Lemon Media. Best of luck! Learn how to squeeze more from your HubSpot subscription. Request a free consultation with our experienced, HubSpot-trained team today!